So I kind of did all of this simultaneously, but let me explain the separate parts and you can choose to overlap or do independently. Place them in a large pot covered at least by an inch of water and bring to a boil. Cook until the potatoes are tender. These are the same ingredients as for the regular meatballs, I used as much filling as I could for the dumplings and then turned the rest into meatballs that way I got some of both! You will want to do the potatoes at least a few hours(maybe the evening) before you prepare the kroppkakor so they have time to cool. 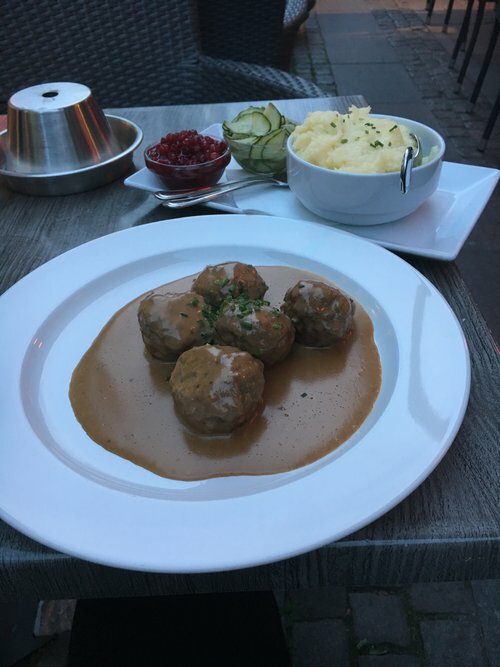 This is a step up from the swedish meatballs because the meat is already inside of the potato so you just need to dip it in the gravy and lingonberry jam and you've got a party in your mouth!